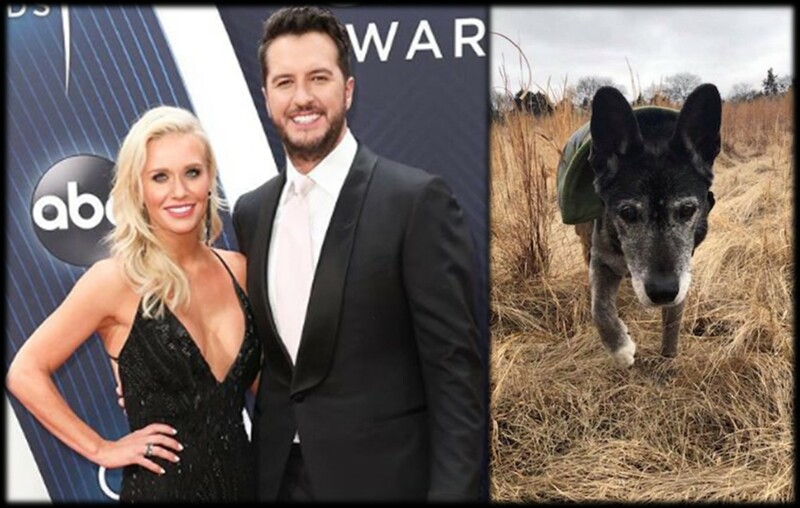 Country music star Luke Bryan and wife Caroline fell in love with a very special senior dog and decided to bring him home! Thanks to country music superstar Luke Bryan and his wife Caroline, Poochie the senior dog will live out the rest of his days in comfort! The couple adopted their new friend from Nashville, Tennessee’s Proverbs 12:10 Animal Rescue. “Poochie, the 18 year old who was surrendered to the pound when his family became allergic and whom we pulled was expected to be a forever hospice foster with Proverbs (like many others in our care), but God had different plans. After reading about Poochie on our social media, Luke Bryan and his beautiful wife, Caroline, applied and adopted Poochie this past Saturday! He is pictured here with his new mom, Caroline and his previous foster, Lacy Marie! He is loving life on the Bryan farm and soaking up all their love. Who knows, maybe Poochie will inspire a country song! Thanks, Bryans!,” the group shared via Instagram. Check out the series of photos below to see Poochie checking out his new home—- and taking a nap! Goodness knows the Bryan family loves their animals and Poochie will have plenty of animal friends to pal around with on their Tennessee farm! It’s great to see them open up their home to a very senior pup. Meet some of the other characters that make up this country family and share this news with other Luke Bryan fans!